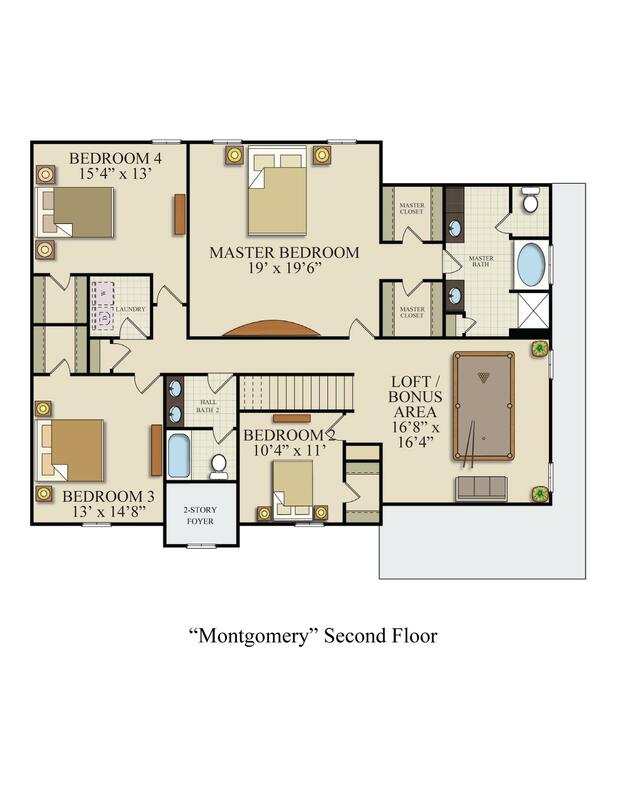 The Montgomery is a wonderful family home. 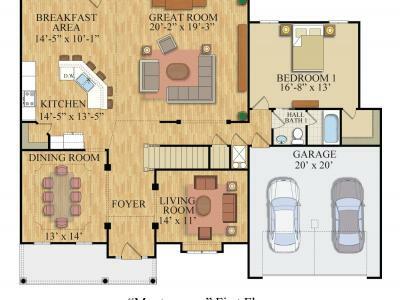 At 3,612 sq. 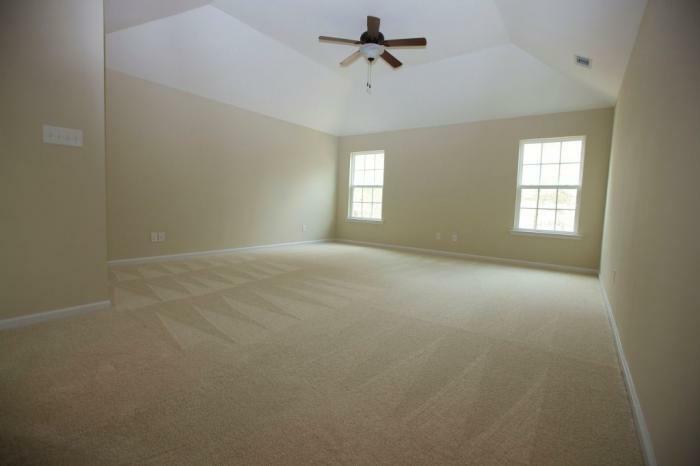 ft. this beautiful estate home includes features such as an enlarged owner's suite, a luxury owner's bath, and wonderful large living spaces. 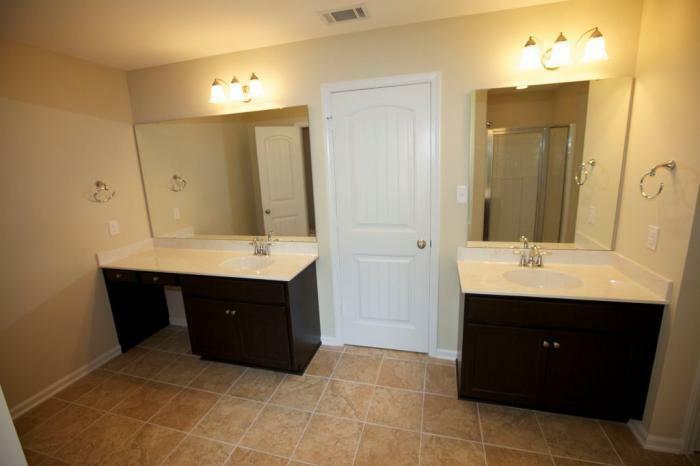 The home includes tile flooring in all bathrooms, laminate wood flooring in the foyer, living room, dining room, family room, kitchen, and breakfast room. 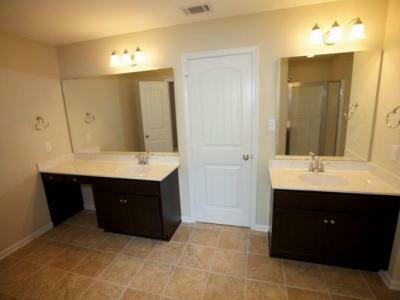 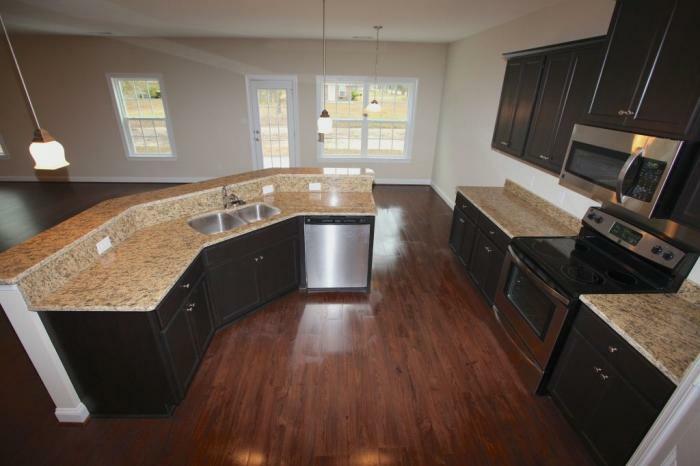 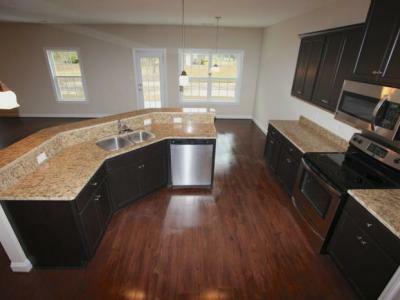 Granite counter tops enhance the wonderful open kitchen, and cultured marble counter tops grace the bathroom vanities. 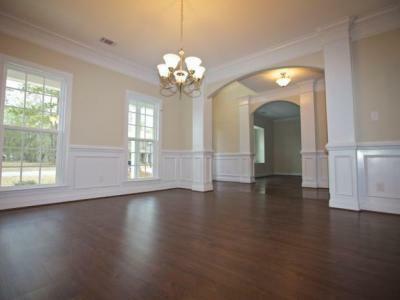 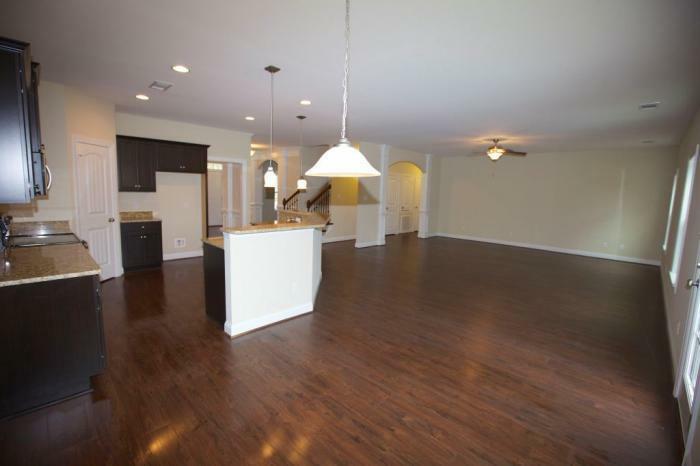 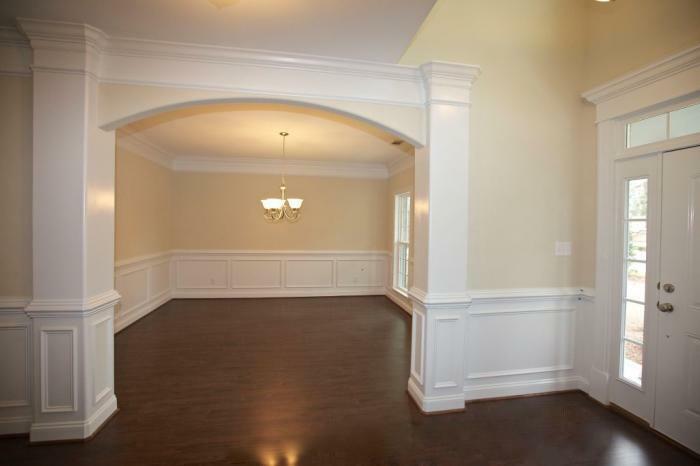 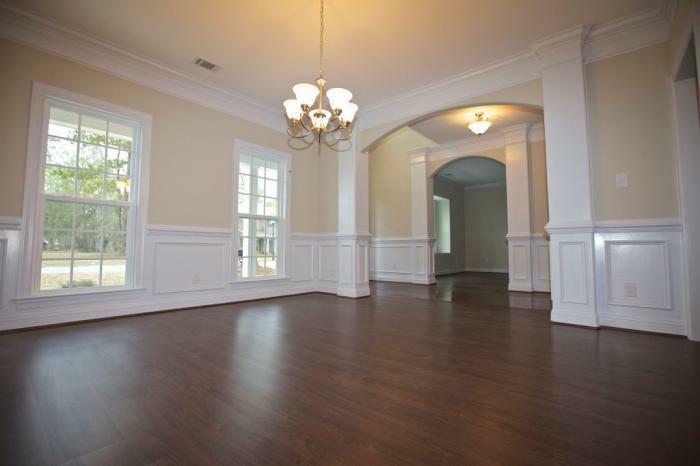 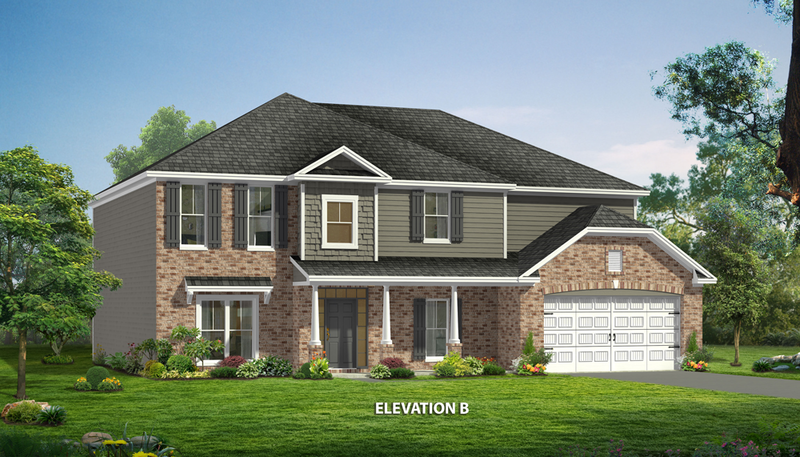 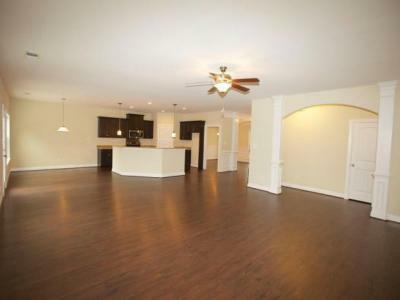 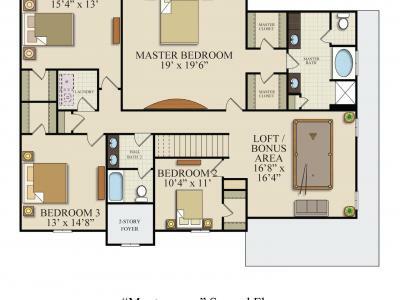 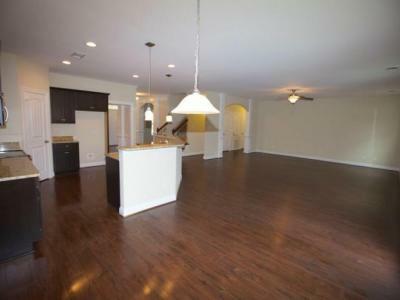 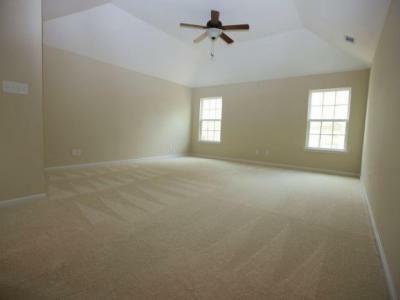 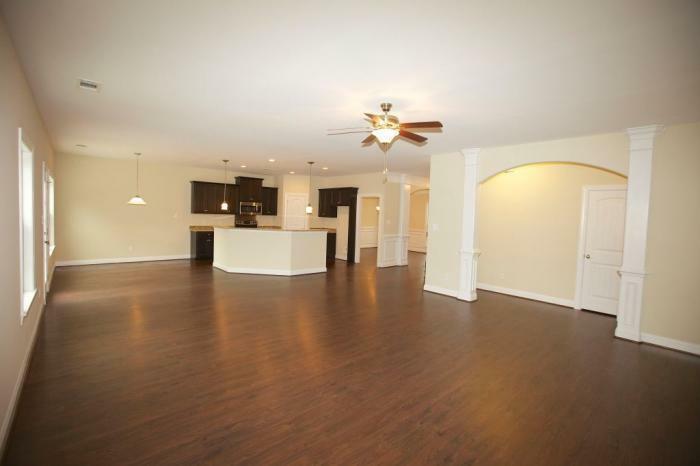 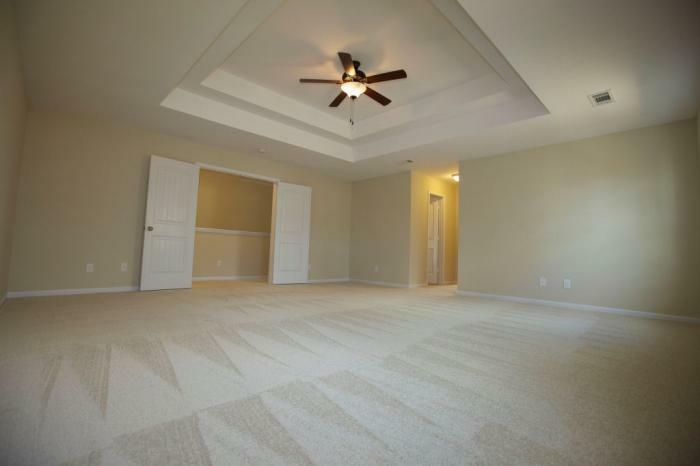 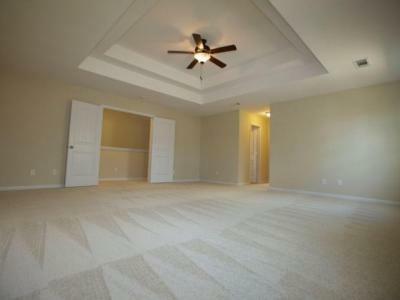 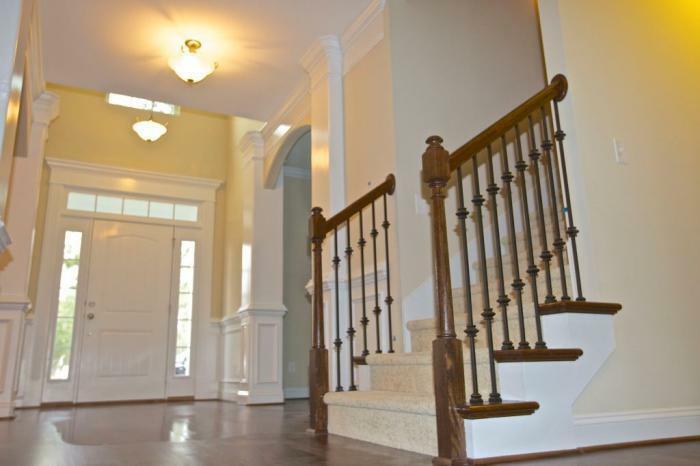 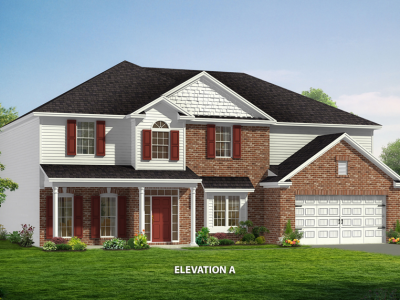 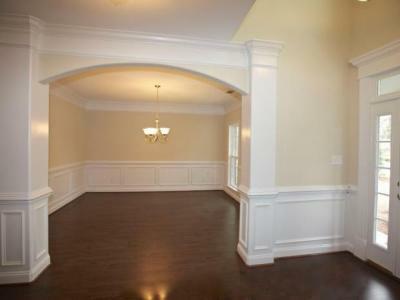 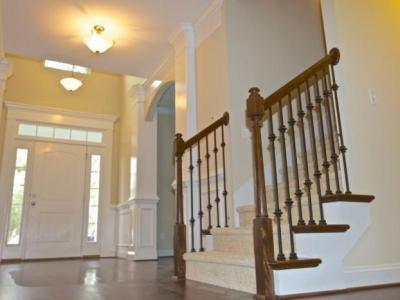 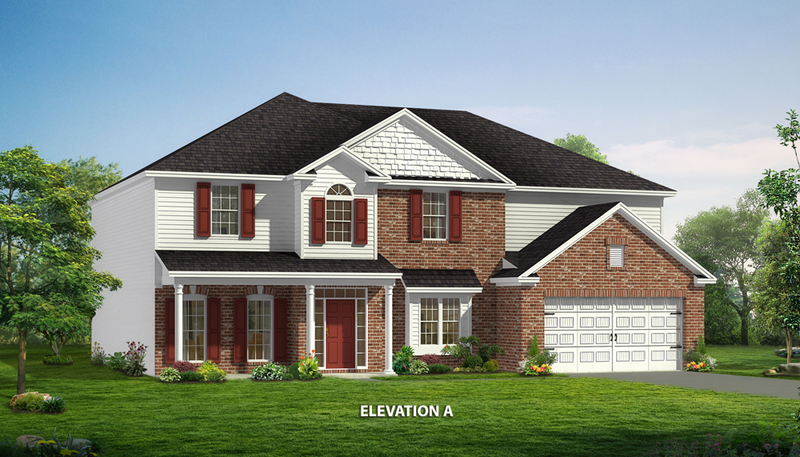 Abundant two piece crown molding and wainscoting show off the fabulous living spaces. 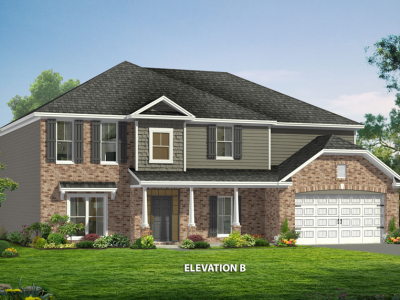 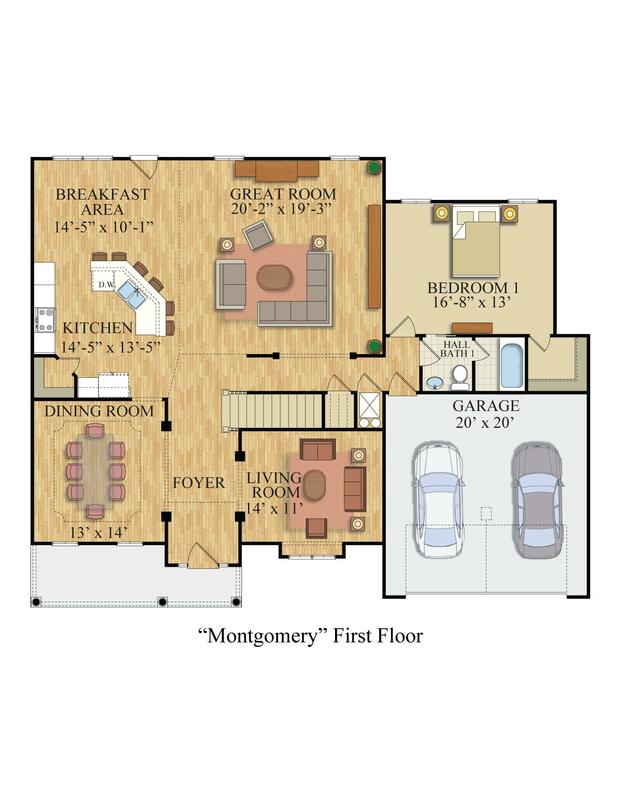 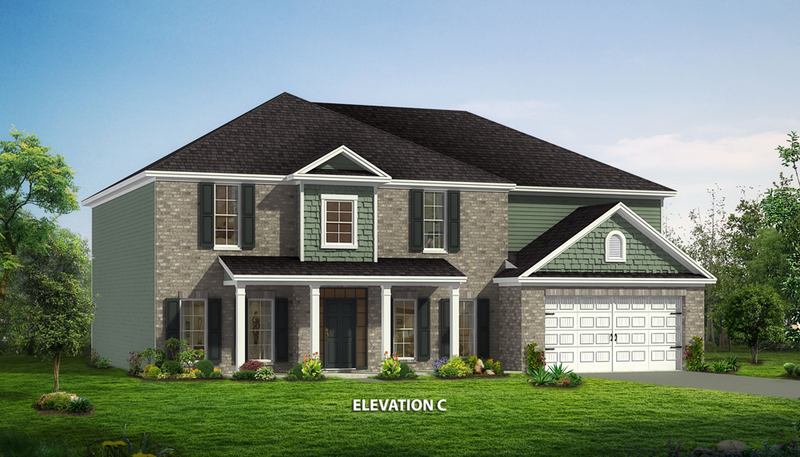 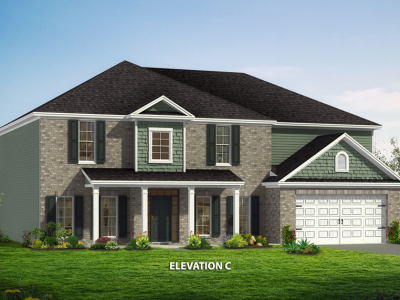 The Montgomery is built to the Georgia Power Earth Cents standard and includes Icynene spray foam insulation, helping you to save money on your energy bills as well as helping the environment.